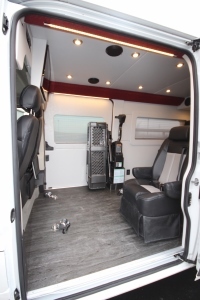 The first of many - at the time of the build, there were very few custom ProMasters on the road, and this might have been the first with a side door wheelchair lift (not to mention, double sliding doors). 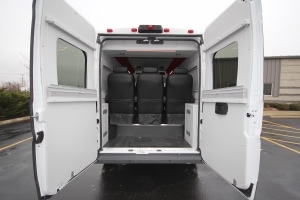 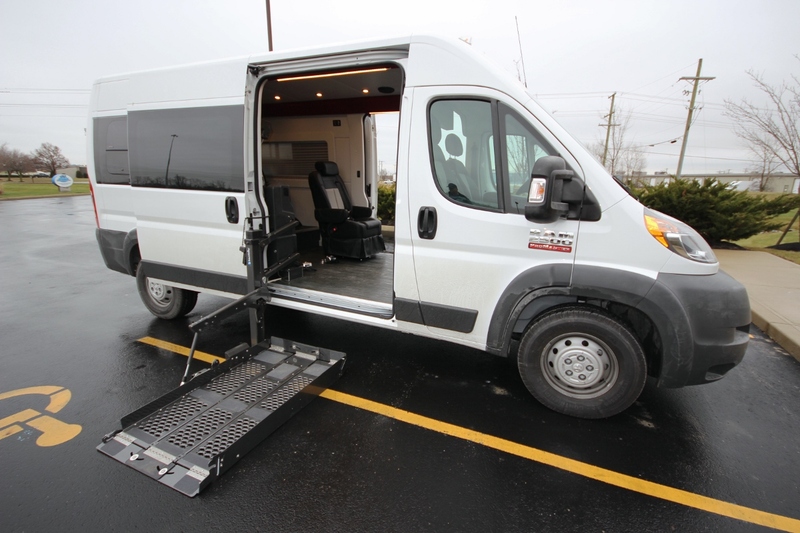 The wheelchair lift (Braun Vangater II) is just one of the many modifications CMI made to this cargo van shell. All of the modifications and amenities should help this Tennessee couple enjoy more comfortable travel with their three kids. 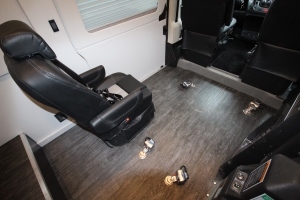 The first priority for this family was to create an accessible vehicle, specifically for one of their children who is confined to a wheelchair. In addition to creating a functional vehicle for daily use, they also wanted to make sure the vehicle was equipped for longer trips. With three children, entertainment was the next priority. 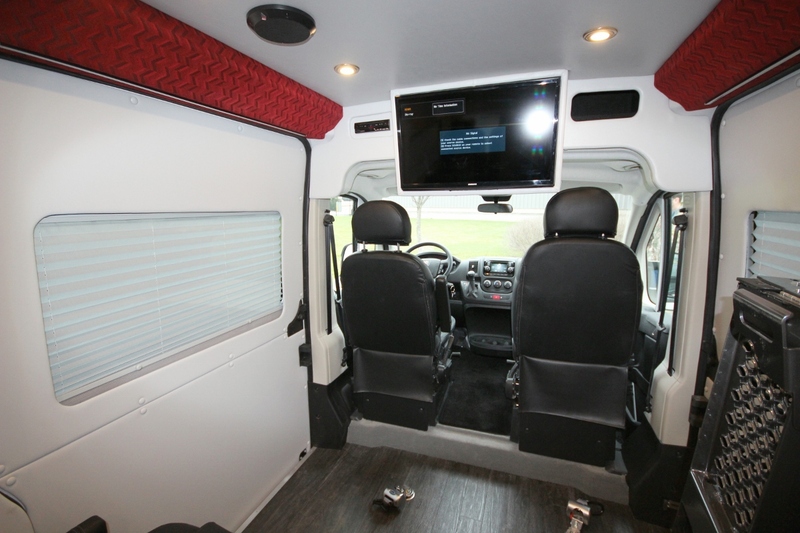 CMI installed a separate rear stereo system and 29” LED TV for rear viewing. 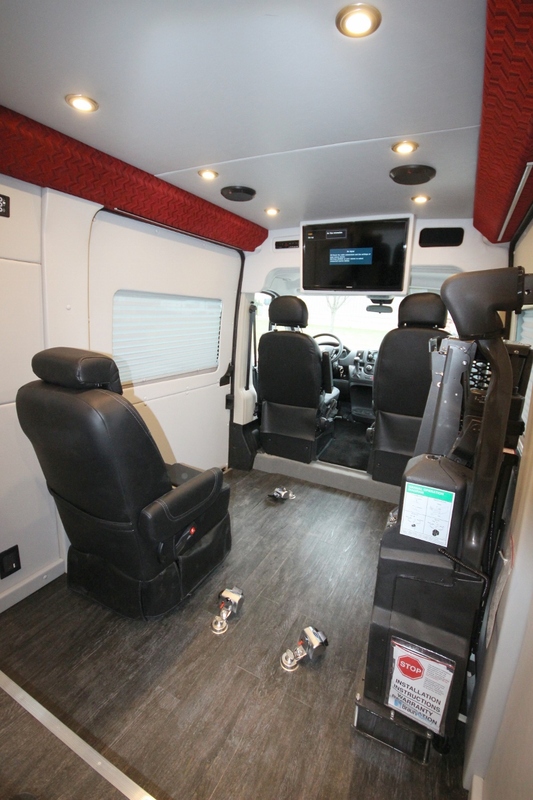 There’s also a game-port, and wireless headphones to make sure the parents can enjoy their own entertainment (or peace and quiet) while traveling. 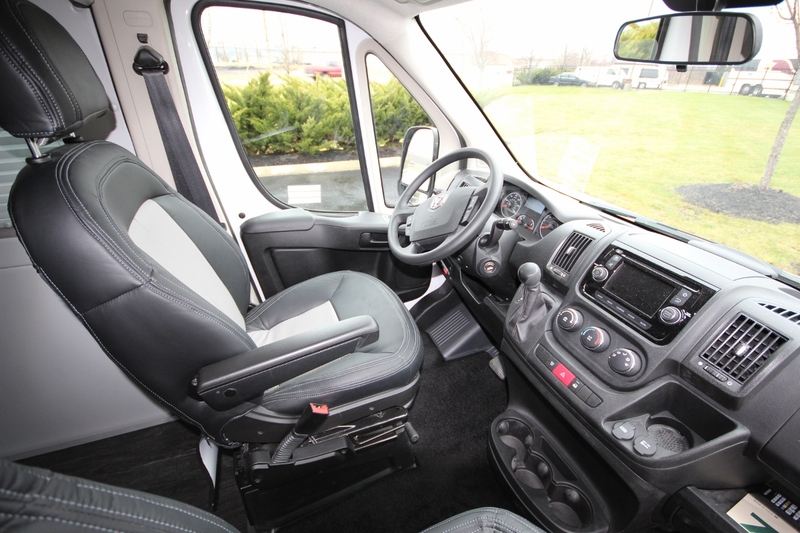 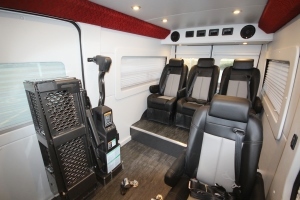 To make sure everyone is comfortable going down the road (and watching TV), CMI installed four custom captain’s chairs, each with integrated 3-point safety belts. To make the vehicle feel homier, CMI installed insulation and built custom wall panels throughout. 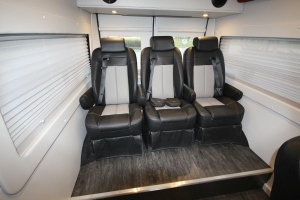 This helps ensure a quiet, luxurious ride. The interior atmosphere is also aided by LED lighting, beautiful LVT wood flooring, rear HVAC, and an inverter system powering multiple 110V outlets.